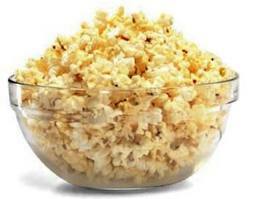 One of the worst things to eat on leather couches is buttered popcorn – yes, the all-time favorite movie snack. What a bummer. Unfortunately, folks, leather is extremely porous by nature, and it will soak up any oils you put on it – and that includes popcorn grease, lotion and the natural body oils that we all have on our skin. You won’t notice any damage at first, but oils can cause some real trouble down the road. 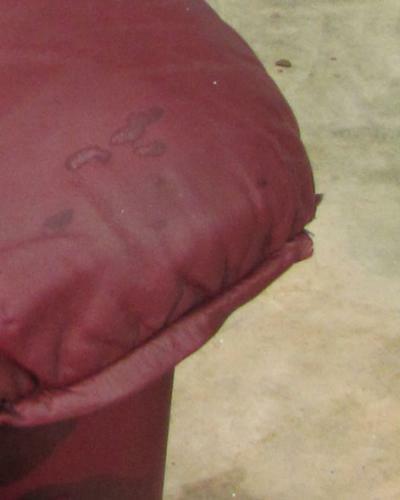 When oil gets on your furniture, it is soaked into the back side of the leather – the part you can’t see. Then, eventually it ends up saturating broader areas as it naturally fills up from back to front over time. Once oil saturates the leather, you end up with ugly oil spots on the surface, like in this photo. It isn’t pretty, that’s for sure. There are two key things you can do to prevent oil spots on leather. 1. Clean and protect leather 3 to 4 times a year. You get rid of the dirt and oil still sitting on the surface of your furniture when you clean it, preventing it from eventually soaking in. A good protection cream will fill in the gaps and spaces in the original top coat of your leather as it gets worn down. By filing those gaps with protection cream, you remove the possibility that they can be filled with dirt and oil later – sort of like putting out the fire before it starts. For a quick tutorial on cleaning and protecting leather, check out this blog post. 2. Avoid exposure to excessive amounts of dirt, grease and body oil. The fact of the matter is that if you use your leather furniture at all, it is going to be exposed to some body oil and some dirt. You’re probably even going to eat on it every now and again – it comes with the territory. But, you can limit the damage of normal wear and tear. 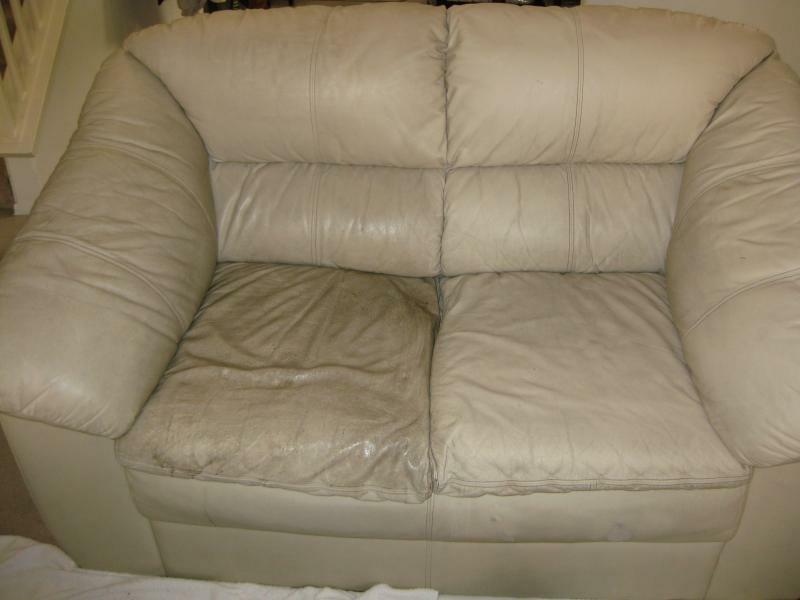 You should avoid sleeping on your leather furniture regularly or sitting down if you come in sweaty and dirty from outside. Also, if you are wearing sunscreen or have greasy popcorn hands, use the less expensive seats in the house. It’s a good idea to try to cover your leather in areas that see a lot of dirt and oil if you can. Try tossing a blanket over the headrest of a leather recliner you know you are going to rest your head on frequently or for extended periods of time. If you want to get rid of oil spots yourself, you can try rubbing them off with a soft leather cleaner. You may be able to remove the spot from view as a temporary fix. But, since the real problem reaches far below the surface, there’s not much you can do to permanently remove the problem yourself. You’ll probably see the spots re-surface. 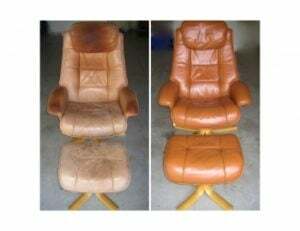 A professional can use their equipment to give your leather a deep cleaning. Sometimes they can remove the problem completely, and sometimes they can only get out some of the oil – it depends on the extent of the problem. We have seen lots of advice on the internet suggesting that people treat their leather with olive oil to prevent drying. In case you haven’t gotten it from the rest of this post, let me be clear: this is NOT a good idea. You couch will soak up olive oil just like it will soak up popcorn oil and will get saturated.